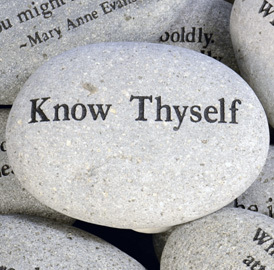 Know Thyself is one of the few phrases I admire and abide by. As many great phrases and verses, this goes deep in its meaning. But I’m not writing any of it, as it is best when you discover it for yourself. I am writing about two things that largely influence what you’d be doing for living and how happy you would be, doing it for the most parts of your life. I call them the two invisible lines. One is What you are good at, and the other one is What you love doing. If you can somehow get these two lines as close as possible in your lives (ideally coincide them! ), you can wake up to your dream career every day. I started this post with know thyself because it might take years to figure out where these lines are. Some might never find out! Clearly, the earlier you find out, more are your chances to be successful. Again, if you are like me who found answers a long while back and still have not made it out of laziness, nobody can help you but yourself. I can state one thing for those of you who don’t know the answers to one or any of the above questions: you haven’t tried enough options. There is an important key: as we grow up, the variables decrease and the constants take their place. What I mean is that one would make a more flexible decision at eighteen than at twenty eight. Because I have a friend who shied away from almost all opportunities of acting in his younger years (while even I did not, given that I had no interest in acting), had a revelation that he would start acting and that was his thing. I was surprised and couldn’t quite encourage him because I did not have enough confidence with starting something like that at twenty four. Well, I’m not against those of you who have started things late, but I’m just saying that it would be really hard to get in line wit h those who have started years before you. 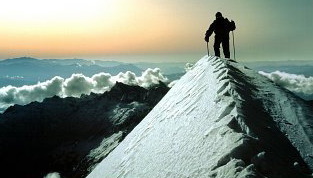 If that hardship is worth it and if you are ready for the changes it might bring to your life, go ahead! So, it becomes important that you discover these two invisible lines in your lives as early as possible, and start aligning the two as closely as possible. When done, you would be good at what you do sixteen hours a day, without a complaint if that had to stretch to even twenty.